Draft: 2009, Chicago Cubs, 2nd rd. Full name is David John LeMahieu…is married to Jordan...Attended Louisiana State University…was named to the 2009 College World Series All-Tournament Team as the LSU Tigers' leadoff hitter...Attended Brother Rice High School in Bloomfield Hills, Mich., where he received All-America honors from Rawlings and Louisville Slugger…was twice named Gatorade "Player of the Year" in Michigan...Lived in California until he was seven years old, then lived in Las Vegas for one year, Madison, Wis., for five years and Bloomfield Hills, Mich., for five years. Hit .276 (147-for-533) with 90R, 32 doubles, 15HR and 62RBI in 128 games with Colorado…set a career high in home runs…had 12 go-ahead homers, five of which came in the eighth inning or later…of his 15HR, 11 came on the road…his 128 games were his fewest since 2013 (109 games)...Earned his third career Gold Glove (also 2014 and '17) and was named the Wilson "Defensive Player of the Year" for the third time (also 2013 and '17)…led all Major League second basemen with a .993 fielding pct. (4E, 591 TC)…was his second straight season leading NL second baseman in fielding pct...Collected his second career multi-HR game and tied his career high with 4H on 4/12 at Washington…also had 2 doubles in the game, marking the eighth time in Rockies history a player had at least four extra-base hits in a game and the first since Corey Dickerson did so on 5/10/14 at Cincinnati…hit his first career leadoff HR in the game...Was placed on the 10-day disabled list from 4/30 (retroactive to 4/28)-5/8 with a right hamstring strain…was his first career D.L. stint…returned to the D.L. the following week (on 5/14) with a left thumb sprain and was reinstated on 6/1...Had a career-high 5RBI on 6/28 at San Francisco…hit a game-winning HR in the ninth inning...Was placed on the 10-day disabled list from 7/21-8/2 with a left oblique strain...Homered in consecutive games for the second time in his career from 8/18-19 (also 4/5-6/16)...Hit his first career grand slam on 8/27 at Los Angeles-AL...Collected his 1,000th career hit on 9/8 vs. Los Angeles-NL…reached 1,000 hits as a Rockie on 9/21 at Arizona, becoming the eighth player in franchise history to reach the plateau...Hit a two-run "walk-off" HR on 9/12 vs. Arizona…was his first career "walk-off" RBI...Started at second base in all four of the Rockies' postseason games, batting .200 (3-for-15) with 2 doubles. Was named to his second career All-Star team and won his second career Gold Glove Award while playing in a career-high 155 games...Finished fifth in the National League in hits (189), seventh in batting average (.310) and tied for 10th in runs scored (95) … third consecutive season batting over .300...Named to his second career All-Star Game … did not play due to a right groin injury...Recorded a career-high-tying four hits five different times, the most games of four-plus hits in the National League … his 52 multi-hit games tied for fifth in the NL with Nolan Arenado … 19 games of three-plus hits tied for second in the NL...From June 15 through the end of the season, his .335 batting average (114-for-340) ranked first in the NL...Recorded a season-long 16-game hitting streak from Aug. 23-Sept. 8, the second-longest streak of his career … tied for the fifth-longest streak in the NL in 2017...Recorded his first career multi-home run game on Aug. 26 at Atlanta … hit three of his eight home runs over a three-game span from Aug. 26-29...Consecutive four-hit games June 15-16 vs. San Francisco, the 11th player (12th time) in club history to collect four or more hits in consecutive games...Won his second career Gold Glove Award (also: 2014) … led all NL second baseman in total chances (720), assists (470), double plays (107) and fielding percentage (.989) … also the Wilson Defensive Player of the Year at second base...Went 0-for-5 in the National League Wild Card Game at Arizona, his first career postseason appearance. Won the National League batting title with a .348 average (192-for-552), the highest average in the Major Leagues and the highest average in the National League since Chipper Jones in 2008 (.364) … became the eighth player in Rockies history (10th time) to win the NL batting title...His .348 batting average was the eighth-highest in franchise history, the highest since Todd Helton hit .358 in 2003 … only Helton (two times), Larry Walker (four times) and Andres Galarraga have finished a season with a higher average than LeMahieu's .348 average...His average was the highest for a player whose primary position was second base since Rod Carew batted .359 in 1975...Finished second in the NL in on-base percentage (.416), third in hits (192) and sixth in runs (104) … also finished first in the NL in multi-hit games (59), tied for second in three-hit games (20) and tied for fifth in triples (eight)...Set career highs in runs, hits, doubles (32), triples, home runs (11), RBI (66) and walks (66)...Career-high 38-game on-base streak, Aug. 9-Sept. 22, tied for the fifth-longest streak in franchise history and tied for the third-longest in a single season...Batted .439 (43-for-98) in August, the highest average in MLB … his 43 hits in August were the most in any month for a Rockies batter since Todd Helton recorded 50 hits and Neifi Perez had 44 hits in August 2000...Hit safely in nine consecutive games to start 2016 … recorded at least two hits in each of the first five games of the season, a franchise record. Was selected to his first All-Star roster and was the starting second baseman for the National League. Set career highs in games (150), at-bats (564), hits (170), home runs (six), RBIs (61), walks (50) and stolen bases (23). Batting average (.301) ranked 10th in the NL ... his 17 three-hit games tied for third-most in the league. Was caught stealing three times in 26 attempts for a 88.5 stolen base percentage, which was tied for the best stolen-base percentage in the NL ... was one of three players in the league with at least 20 stolen bases and a stolen base percentage of at least 88.0. Was one of five players in the NL with at least 20 doubles, 20 stolen bases and a batting average greater than .300. Recorded a career-high tying three runs July 26 vs. Cincinnati and Sept. 27 vs. Los Angeles-NL. Hit .406 (28-for-69) in April, which ranked third in the NL; and .400 (36-for-90) in July ... became the first Rockies player to hit .400 or greater in two months of the same season since Larry Walker in 2002 (Elias). Became the first Rockies second baseman to bat .400 in April (.406, 28-for-69). Had a career-high, 18-game hitting streak snapped July 29, and batted .444 (32-for-72) with 16 runs, five doubles, two triples, nine RBIs, nine walks and two stolen bases over the streak. Led all NL second basemen in innings (1,284), total chances (761), assists (452) and double plays (120) ... second in putouts (300), third in zone rating (.808) and sixth in fielding percentage (.988). Was a member of his first Opening Day roster and spent the entire season on the club's active roster...Following the season, named the NL's recipient of the Rawlings Gold Glove for second base...the honor is the first of his career...the first Rockies second baseman in franchise history to be awarded a Rawlings Gold Glove Award and the seventh different player overall to be honored...Had a .991 fielding percentage in 144 games at second in 2014...he led all NL second baseman in total chances per 9.0 innings (5.16), assists per 9.0 innings and double plays (99)...2014 represents the fifth time multiple Rockies have been awarded a Rawlings Gold Glove in the same season...the other four seasons with two winners are: 2001 and 2002 when Todd Helton (1B) and Larry Walker (OF) both received the award, in 2010 with Carlos Gonzalez (OF) and Troy Tulowitzki (SS), and 2013 with Nolan Arenado (3B) and Carlos Gonzalez (LF)...Set career-highs offensively in at-bats (494), runs (59), hits (132), triples (5), home runs (5), RBI (42) and walks (33)...Finished the season by batting .307 (23-for-75) with three doubles, two triples, one home run, 10 RBI and 7 runs in 22 games in September...Had a season-long 10-game hit-streak June 24-July 4...during the streak, hit .405 (15-for-37) with one doubles, one home run, five RBI and five runs...Was slightly stronger at the plate against left-handed pitchers, batting .286 (34-for-119) with a .669 OPS, compared to .261 (98-for-375) with a .660 OPS against right-handers. Began the season at Triple-A Colorado Springs before being recalled on 5/16...following his recall, LeMahieu would spend the remainder of the season on the Big League roster... In what was his third season in the Majors, LeMahieu played in a career-high 109 games and also set career-marks in at bats (404), runs (39), hits (113), doubles (21), RBI (19), walks (19) and stolen bases (18)... Saw the majority of his playing time at second base (90 games) but also saw playing time at third base (14 games) and shortstop (one game)... Owned a .993 fielding percentage at second, committing just 3 errors in 442 total chances over 750.0 innings as the position...was named the Rockies team Defensive Player of the Year by Wilson for his work at second base... Hit .291 (65-for-223) in 56 games after the break...is now a .300 (131-for-436) career hitter in 132 post All-Star break games... Had 32 multi-hit games, 8 of which were 3-hit contests...his 32 multi-hit games were the 6th-most on the club... Had a career-long 14-game hitting streak 8/26-9/14...LeMahieu hit .379 (22-for-58) with 5 doubles, 7 RBI and 7 runs over the 14 games of his streak...it was the 2nd longest streak for a Rockies player (Cuddyer 27 games) in 2013... Prior to his recall on 5/16, LeMahieu hit .364 (52-for-143) with 8 doubles, 5 triples, 1 home run, 22 RBI and 34 runs in 33 games at Triple-A Colorado Springs... Had a career-high 18 steals...his 18 bags were the 3rd-most on the club (Gonzalez 21, Fowler 19). In what was his official rookie season in 2012, LeMahieu played the majority of the season's last two months asColorado's regular second baseman...from the time he returned to the Majors on 7/17 he remained with the club for therest of the season and batted .316 (60-for-190) with 11 doubles, 4 triples, 2 home runs, 20 RBI and 23 runs in 62 games. Was acquired by Colorado along with Tyler Colvin in December, 2011 in exchange for Ian Stewart and Casey Weathers. Began 2012 with Triple-A Colorado Springs and batted .314 (80-for-225) with 14 doubles, 2 triples, 1 home run and 31RBI in 61 games for the Sky Sox...had 23 walks compared to just 29 strikeouts in his 61 games for the Sky Sox. Was consistent upon his return from Triple-A on 7/17...batted .316 in July, .321 in August and .303 inSeptember/October...his 54 hits from 8/1 through the end of the season were tied for the 6th-most among NL rookies. Had a career-long 8-game hit-streak 9/22-29, during which he hit .464 (13-for-28) with 2 doubles, 2 triples, 1 home run,5 RBI...hit safely in 10 of his final 12 games of the season. Hit .324 (60-for-183) with 12 doubles, 4 triples, 2 home runs, 20 RBI, 22 runs over his last 55 starts of the season. Connected on his first career Major League home run on 8/11 at SF off Matt Cain...other HR was against former team(Cubs) on 9/27 at Coors Field off Chris Volstad. Had equal home/road splits, as he batted .297 (35-for-118) at home and .320 (54-for-169) on the road...the right-handed batter hit .320 (54-for-169) vs. right-handers and .233 (14-for-60) vs. left-handers. Had a .994 fielding percentage in his 67 games at second base...among NL second basemen with at least 60 starts atthe position, his .994 mark was 3rd in the NL behind Darwin Barney (.997) and Mark Ellis (.994). split. Named a Florida State League All-Star after hitting .314 (174-for-554) with 24 doubles, 5 triples, 2 home runsand 73 RBI in 135 games for High-A Daytona in what was his first professional season...named the Cubs' 10th-bestprospect by Baseball America following the season. Made his professional debut at Rookie-Level Arizona after the Cubs selected him in the second round of the2009 First-Year Player Draft...batted .417 (5-for-12) with a triple and 4 RBI in three games for the Cubs before being sentto Single-A Peoria...hit .316 (48-for-152) for Peoria over the remainder of the season. 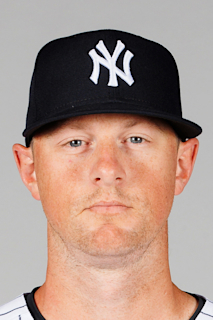 January 14, 2019 New York Yankees signed free agent 2B DJ LeMahieu. October 29, 2018 2B DJ LeMahieu elected free agency. August 2, 2018 Colorado Rockies activated 2B DJ LeMahieu from the 10-day disabled list. July 21, 2018 Colorado Rockies placed 2B DJ LeMahieu on the 10-day disabled list. Left oblique strain. June 1, 2018 Colorado Rockies activated 2B DJ LeMahieu from the 10-day disabled list. May 8, 2018 Colorado Rockies activated 2B DJ LeMahieu from the 10-day disabled list. April 30, 2018 Colorado Rockies placed 2B DJ LeMahieu on the 10-day disabled list retroactive to April 28, 2018. Right hamstring strain. May 16, 2013 Colorado Rockies recalled 2B DJ LeMahieu from Colorado Springs Sky Sox. March 27, 2013 Colorado Rockies optioned DJ LeMahieu to Colorado Springs Sky Sox. July 17, 2012 Colorado Rockies recalled DJ LeMahieu from Colorado Springs Sky Sox. June 22, 2012 Colorado Rockies optioned DJ LeMahieu to Colorado Springs Sky Sox. May 23, 2012 Colorado Rockies recalled DJ LeMahieu from Colorado Springs Sky Sox. March 18, 2012 Colorado Rockies optioned DJ LeMahieu to Colorado Springs Sky Sox. December 8, 2011 Chicago Cubs traded 2B DJ LeMahieu and RF Tyler Colvin to Colorado Rockies for RHP Casey Weathers and 3B Ian Stewart. October 2, 2011 2B DJ LeMahieu assigned to Mesa Solar Sox. September 6, 2011 Chicago Cubs recalled DJ LeMahieu from Iowa Cubs. June 28, 2011 Chicago Cubs optioned DJ LeMahieu to Iowa Cubs. May 30, 2011 Chicago Cubs selected the contract of DJ LeMahieu from Tennessee Smokies. March 6, 2011 2B DJ LeMahieu assigned to Chicago Cubs. September 9, 2010 DJ LeMahieu assigned to Tennessee Smokies from Daytona Cubs. April 5, 2010 DJ LeMahieu assigned to Daytona Cubs from Peoria Chiefs. March 12, 2010 DJ LeMahieu assigned to Chicago Cubs. March 12, 2010 SS DJ LeMahieu assigned to Chicago Cubs. July 28, 2009 DJ LeMahieu assigned to Peoria Chiefs from AZL Cubs. July 24, 2009 DJ LeMahieu assigned to AZL Cubs. July 16, 2009 Chicago Cubs signed SS DJ LeMahieu.